Is the most famous Aquatic Theme Park of all time dying? Has the events in the past 3 years damage the most prestigious park of all time? Will their loyal patron forgive them for getting too big and loosing touch with reality? Can SeaWorld bounce back from all this tragedy and move forward to a new age of wonder? It’s no secret, SeaWorld has lost many of their booked act for the new coming year. SeaWorld has been boycott by big names in the entertainment industry. Legendary Willie Nelson, Trisha Yearwood, Martina McBride, have all cancel the big annual event for 2014 called “Annual Beers, Brew & BBQ Concert”. To date 8 of the 10 artist booked to play at this event have cancel. Field trips from Schools have been cancel do to the outrage the film documentary “Black Fish” has created. The PR department at SeaWorld have been scrabbling to make aware, the founding in this film are false, not true at all. They are doing everything in their power to assured the public all is well, better than ever in fact and their animal held in their premises are well taken care of. Still, it makes me wonder how long can this debate last and how far will it go? There are 100’s of website asking people to please stop wasting their money on SeaWorld, other simply want for Tilikum to have peace and a happy life somewhere else. Many activist feel this whale has suffer enough, it needs to be able to be happy and fruitful somewhere else. 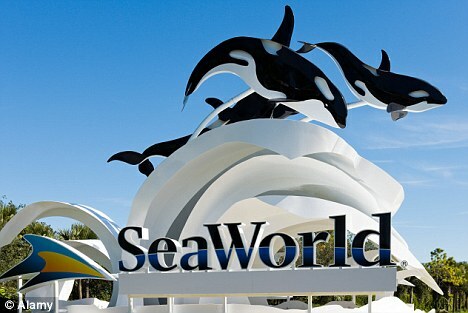 Many experts believe maybe SeaWorld may have another 10 or 15 years in this business. All I can give its my opinion, I truly believe SeaWorld can bounce back from all this negative publicity and scrutiny as long as it understand time is changing. The way patron now view these creatures and feel about them is totally different from 30 to 50 years ago. SeaWorld should be more open and transparent with their wonderful research and animal rescue they have done in the past and will continued to do in the future. Let the public decided what it is they need from SeaWorld instead of SeaWorld telling them. Stop treating the public with an 5th grade mentality. Our children are more aware of their environment and what is around them. They need to strive and pursued their education with positive new age thinking not bringing them back to the stone age. Once all this is accomplished them SeaWorld once again will rained again. What do you think? Previous Post BlackFish…..An Eye Opener to us all.